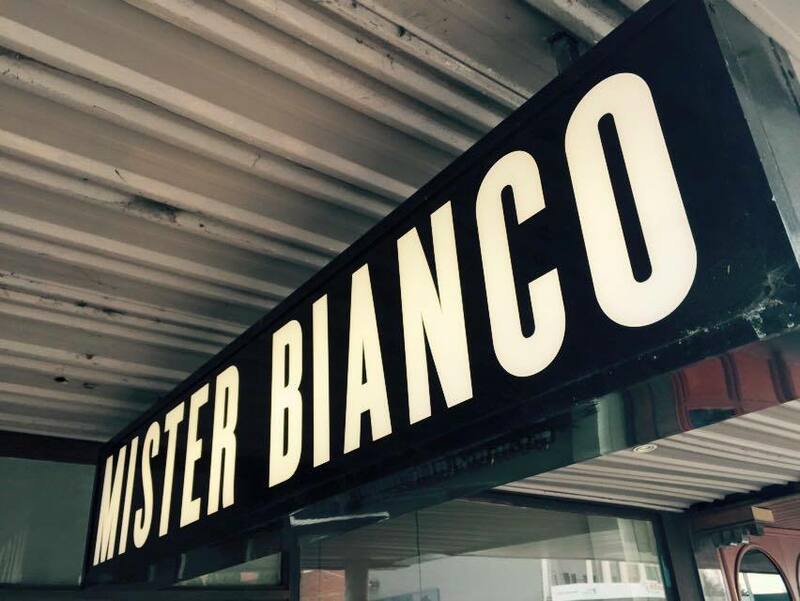 Located on Kew's High St, Mister Bianco is one of those places where as soon as you enter, you feel immediately at home and you'll certainly want to sit back and stay awhile. Serving up what they call 'Sicilian comfort food', Mister Bianco is a stylish, sophisticated place that just feels like the ideal place for a business meeting or professional working lunch outside the CBD. It's equally one of finer Italian restaurants in Melbourne where you can enjoy lunch or dinner in a welcoming and friendly setting. Guests are welcomed with their homemade ciabatta bread, delivered in a brown paper bag with the recipe printed on the front so you can give making it at home a hearty try. We tried an entree of their popular smoked zucchini flowers 'in the mist' after hearing such rave reviews and we were not disappointed. Zuchini flowers 'in the the mist' at Mister Bianco, a must-try entree. When the lid comes off and the smoke fills the air, you'll know you're in for a treat. These flowers are cooked to perfection, aren't at all greasy and the mozzarella and tomato hold the smoke flavour so well. For lovers of a good steak, Mister Bianco serves up one of the best I've had in Melbourne. The dry aged eye fillet is locally sourced from Mount Leura and melts in your mouth. Steak lovers be warned, you may never go anywhere else. There's a variety of sides to choose from and rumour has it the pan fried barramundi with black olive tapenade and blistered heirloom tomatoes keeps the locals coming back for more. As a side, the veggies with toasted almond slivers are an easy fave and are cooked perfectly with just a subtle crunch. Broccolini with dutch carrots at Mister Bianco. The menus offers a wide variety of vegetarian options and the new $40 lunch menu on Thursday and Friday is an absolute bargain with two courses, a glass of proseco, the house red or white wine or Peroni beer on tap, and coffee or tea to complete the meal. And on the topic of completing the meal, while we were a bit too enthusiastic to save room for one of the variety of delicious Italian desserts on offer, we were tempted just enough with the sweet ricotta, cinnamon cannoli with pistachios. The sweet ricotta and cinnamon cannoli is delicate, flakey and oh so yummy. Mister Bianco also has a few fabulous function spaces that are ideal for family celebrations, special occasions, and even a corporate meeting or two in the upstairs area because you know the catering here will be far better than anything at the office.